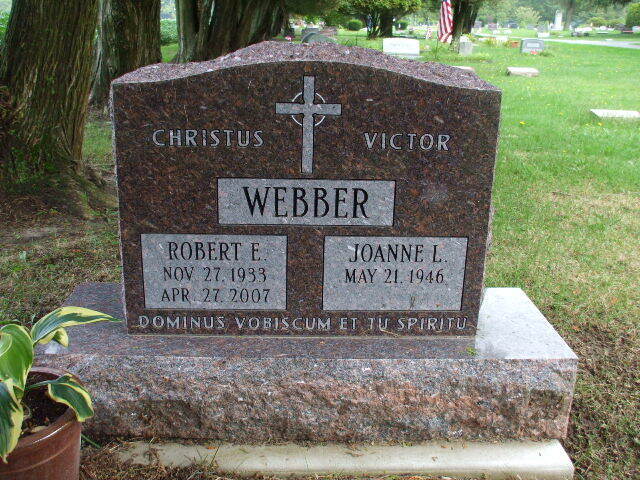 Video Content: Joanne Webber, AFFN Board Member and widow of the late Robert E. Webber, sat down for an extended interview with Chris Alford. He and fellow Board Member Carl Peters were in Sawyer, Michigan, to help Joanne catalog books and materials for sale in the new AFFN Marketplace. Chris and Joanne took time from their busy schedule of sorting and organizing for a wide-ranging conversation about her wonderful life with Bob. The interview took place in the room where Bob wrote many of his most celebrated books. How she and Bob met. His early and lesser-known works. How they came to live at Sawyer. Joanne’s famous father, Harold Lindsell, and his relationship with Bob. His collection of resources that were cataloged while in Michigan. The starting of the Institute for Worship Studies. How she’s doing in the grieving process and her life now without Bob. Video Content: AFFN Resource Partner Dr. Lisa Deam talks about how she came to be in the Network and its value to her as an author and medievalist. You can learn more about Lisa by checking out her picture and bio on our Network Members Page— and don’t forget to read more about her latest book, A World Transformed: Exploring the Spirituality of Medieval Maps, in the AFFN Marketplace. Thank you, Lisa, for your kind words about the AFFN. We love having you here! Video Content: At June, 2016’s annual AFFN Convocation, Network member Dr. Marc Brown presented “Synthesis and Summary: Applying Ancient-Future Principles in Evangelical Worship Traditions” and led us through a practical, step-by-step teaching and discussion session based in the way he devises, plans and leads worship services. In this hour, we learned and shared many tips, suggestions and experiences – from choosing songs, prayers and readings, to incorporating complementary texts from the lectionary and reflecting the Christian year – that will be useful and adaptable in many settings. A veteran worship leader, Marc has brought Ancient-Future worship paradigms to both contemporary and traditionally-styled services in the Southern Baptist churches he has served in northern Virginia and north-central Kentucky. Video Content: The Final Session of our 2016 AFFN Convocation was a regularly-recurring feature of our annual gatherings: a focused discussion of one of Robert Webber’s books or another author’s work related to ancient-future faith, or of some aspect of ancient-future orthopraxy. Again this year, Dr. Ellen Koehler chaired and commented on the panel discussion, this time on Webber’s Ancient-Future Evangelism: Making Your Church a Faith-Forming Community. In this second book in the Ancient-Future Faith series (published in 2003), Bob addressed the question: How can our evangelism produce not only converts, but disciples who grow in faith and become active members of the church? In other words, how does mission look and function when the goal is not just breadth of numbers, but depth of maturity? Looking to the ancient church, Bob notes that evangelism and discipleship were not seen as separate activities or callings, but rather were integrally related, expressed and realized in a long-term, holistic process – a life-long journey that involved the whole Christian community. And he argues passionately that a recovery of the ancient ways provides the answers to the longings and conditions of the post-modern world. Panelists for this lively and intriguing roundtable included Dr. James Hart (DWS, President of the Institute for Worship Studies), Dr. Nancy Nethercott (DWS, Co-Director of the IWS GROW Center, and TEAM missionary in Japan since 1987), Dr. Jonathan Nelms (DWS, pastor of Covenant Church in Cookeville, TN), and Ellen Koehler (Ph. D. in history, Director of Music and Liturgy at Epiclesis, Sacramento, and AFFN Board Member). Each of the panelists spoke to these questions from their own, diverse experiences and views. Jim spoke to the connection between mission and the growth of each of us in Christ-likeness, in essence godliness, as members of His body in the world. Nancy shared the implications and similarities of these responsibilities within the context of international evangelism. Jonathan encouraged and challenged us with experiences of his own congregation engaging in the needs of the Cookeville community in an ongoing way. And Ellen shared from the discipleship process at Epiclesis as an intentional implementation of the ancient understanding of evangelism and discipleship, what Webber calls a “Journey to Jesus.” The following discussion and comment period continued the exploration of these and other issues raised in Ancient-Future Evangelism. The presentation, she said, had grown out of her current interest in understanding psalms of lament as prayers of hope. With a focus on the psalms of the Sons of Korah, in particular Psalms 42 and 43, Carla asked us to bear in mind these questions: Who were the Sons of Korah? And why do their psalms bear the repeated motif, “the steadfast love of the Lord never ceases”? The answers she provided and the discussion that followed reveal just how meaningfully this message fits into and ministers to the needs of today, both to individuals and to the culture at large. Carla was a founding faculty member of the Institute for Worship Studies, and also has taught at Wheaton College and Northern Seminary. Video Content: Chris Alford and Carl Peters took a few minutes during a recent trip to Sawyer, Michigan, to visit Robert Webber’s gravesite. They were in town on AFFN business to help fellow board member Joanne Webber sort through a treasure trove of Bob’s materials, many of which will be available here on the Ancient-Future Faith Network site, both presently in The Abbey and in a brand-new store (coming in fall, 2015). They took along a video camera to capture the brief visit and give interested folks a chance to see the final resting place of Bob’s remains. It’s a beautiful spot, and the inscription on his tombstone is just what you’d expect.